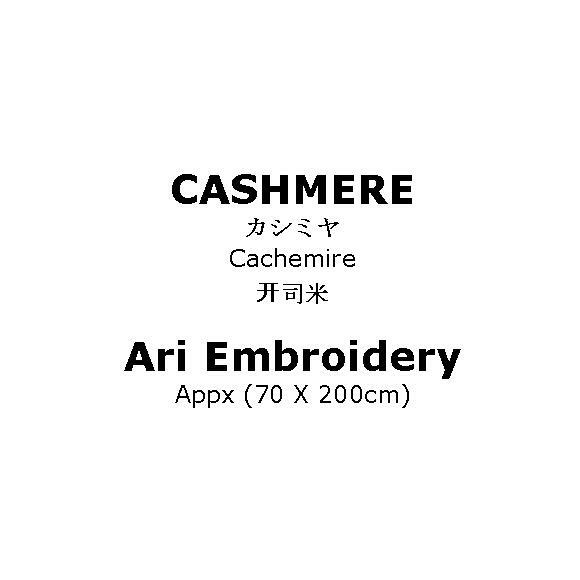 Pure Cashmere Kani Ari (embroidery form). 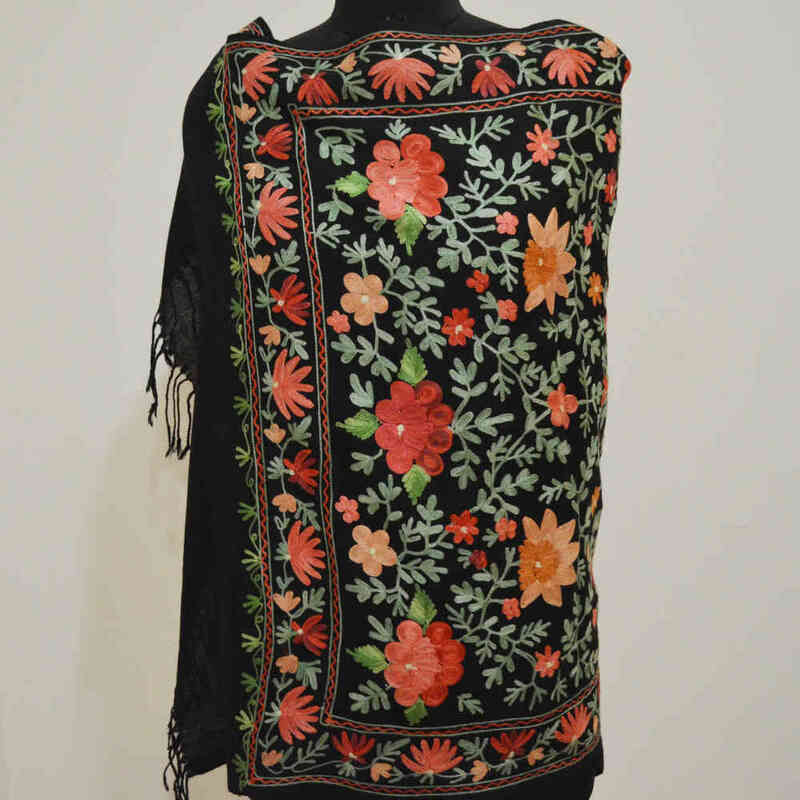 Beautifully embroidered with unique motifs and different colours using thick needles with silk threads to produce larger pieces of designs. The piece feels smooth and very exclusive with its traditional looks.